About three years ago, I started my current job where my main documentation deliverable is a Microsoft Compiled HTML Help file, which is distributed to customers by a page off the Microsoft Download Center. Not long after a new release of the guide went live, I got an email saying the file was corrupt. Oh, no! I thought. First the President of the United States commutes Scotter Libby’s sentence and now this! Fortunately for me, I had colleagues on the team who had been distributing CHM files this way for much longer than me. The file isn’t corrupt, but its ability to render HTML has been purposely disabled. The issue is explained in this KB article and involves a security update that purposely prevents HTML in all compiled help files from rendering, if that file was downloaded from the Internet. Download the file to your desktop (or wherever), right-click the file and then click Properties. 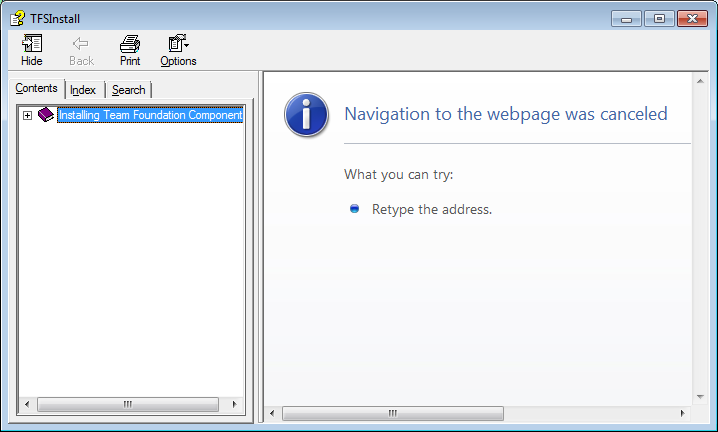 Now when you open the file, the compiled HTML will render just fine. If only political corruption were as easily resolved! Categories: Tips | Tags: CHM files, data corruption, guidance, team foundation server, team foundation server install guide | Permalink.